It's not a bad time to be a sports fan. March Madness, the NHL and NBA are in the final handful of games before the postseason, the MLS season just got going, the men's and women's Frozen Four are going on or just finished, and it's almost opening day of the baseball season. In honor of that last one -- though, perfectly suitable for any of the above -- Papa John's is running a deal where you can land a free pizza. To get in on the free pizza, you'll need to be a Papa Rewards member (or become one). All you have to do is spend at least $20 anytime through March 31. 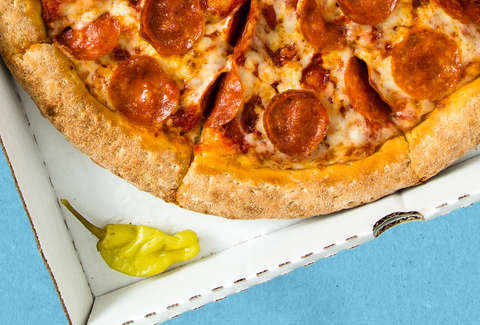 Papa John's, which recently struck up a truce with embattled founder John Schnatter, will drop a coupon for a free large two-topping pizza in your account. It'll arrive one day after you place the first order. You'll find a "Free Pizza" offer in your Papa Rewards account, which you can customize, and then have delivered to your doorstep. However, the coupon will expire on April 14, so you'll have to order that second one soon. But who is complaining about having to eat more pizza?